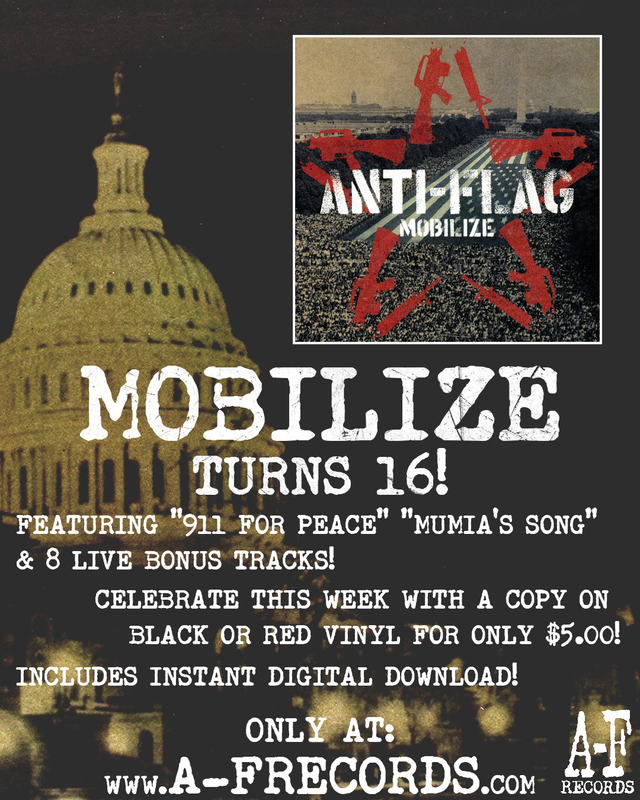 Continuing this week in celebration of the 16th anniversary of ANTI-FLAG's album, 'MOBILIZE' we are offering the album up at a name-your-price rate via our Bandcamp page! 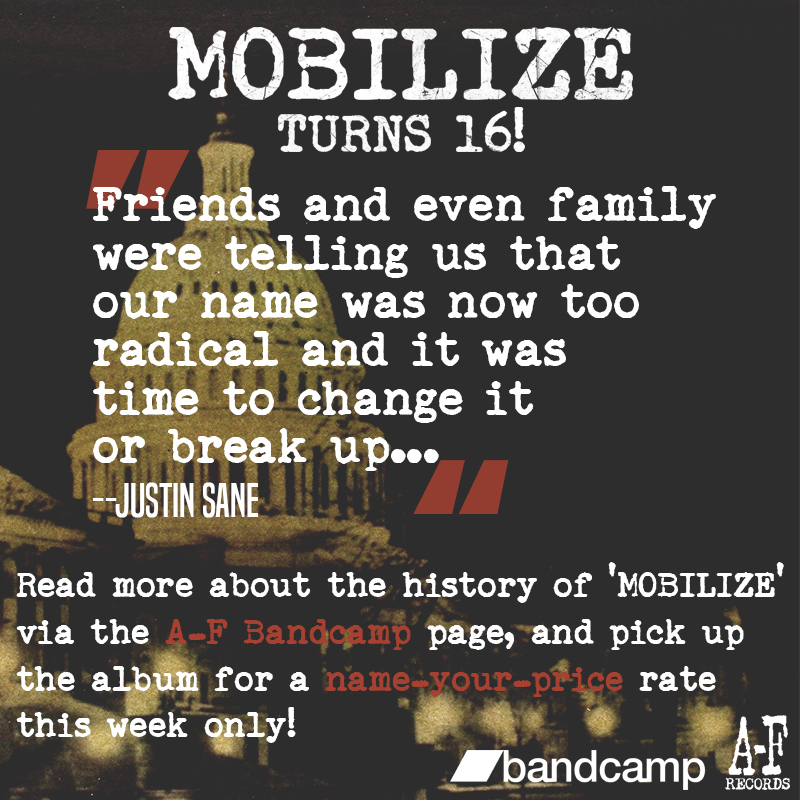 While you're there, be sure to check out the album notes section for some history on the album provided by Justin Sane and Chris "#2" Barker! 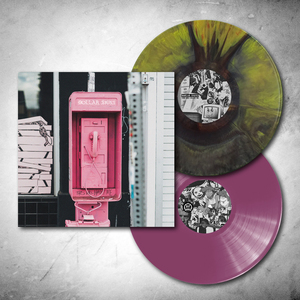 Lastly, don't forget to pick up your own copy of 'Mobilize' on vinyl HERE this week for only $5.00!!! 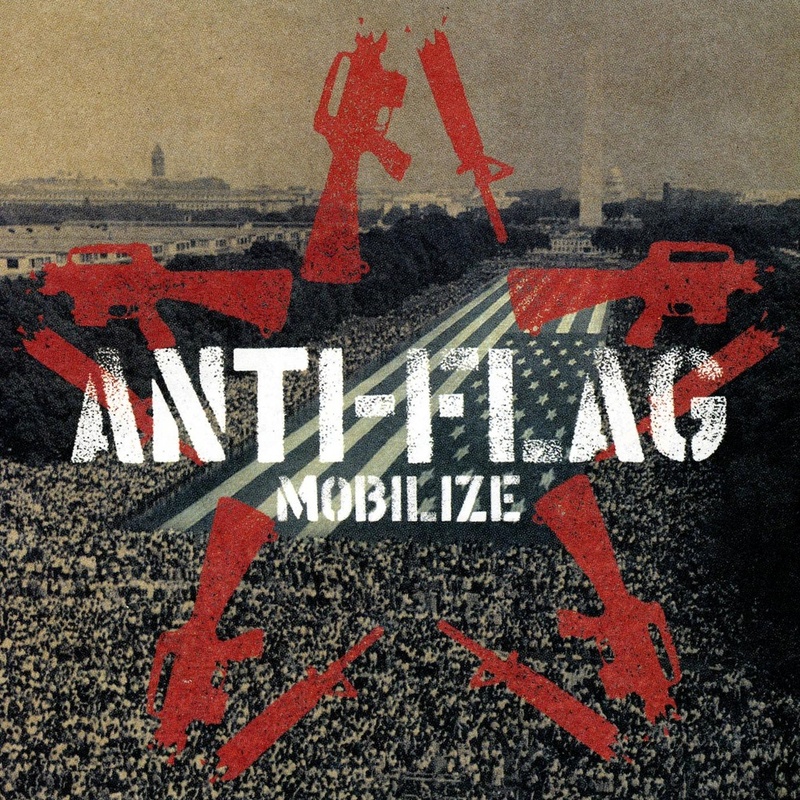 02.19.2002: 'Mobilize' by ANTI-FLAG is released to the world. 16 years later, here we are still celebrating! 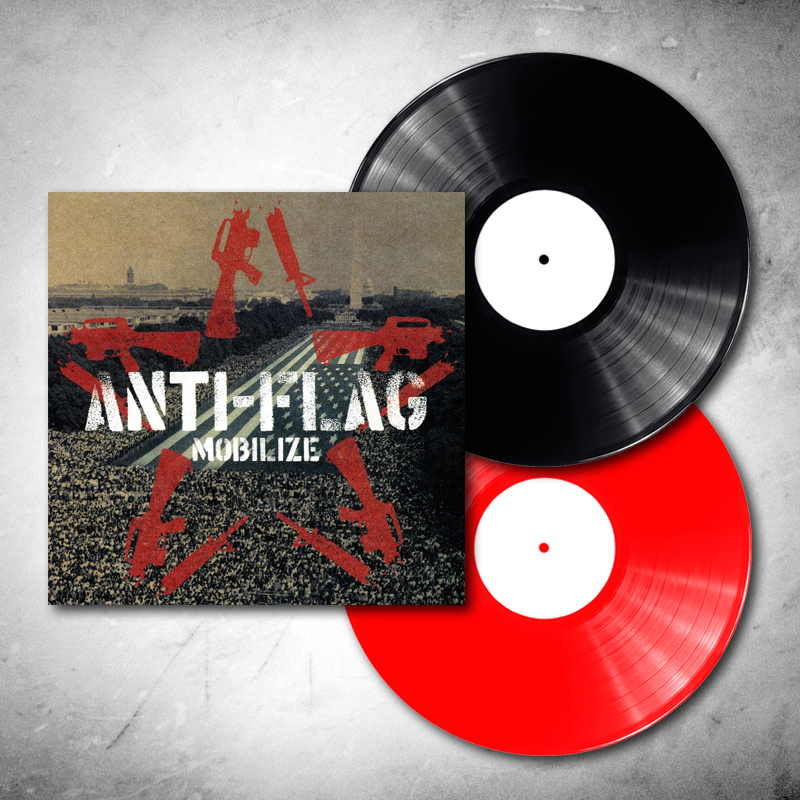 This week, as part of our celebration, we are offering 'Mobilize' up on "Classic Black" or "A-F Exclusive Red" vinyl for only $5.00! 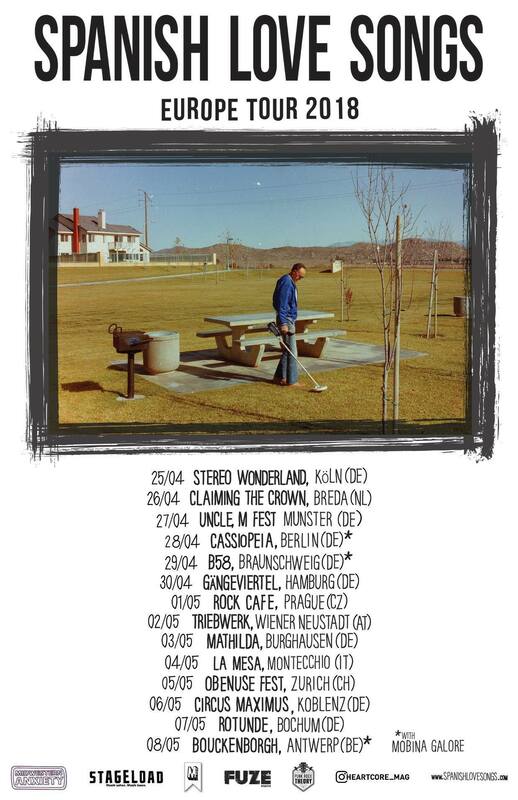 "This was a crazy record to make. Being in the studio on September 11th, having everyone from friends, family, to enemies telling us we needed to change our bands name & support the president. Our one goal was to remain anti-war, that more violence was not a solution to violence." 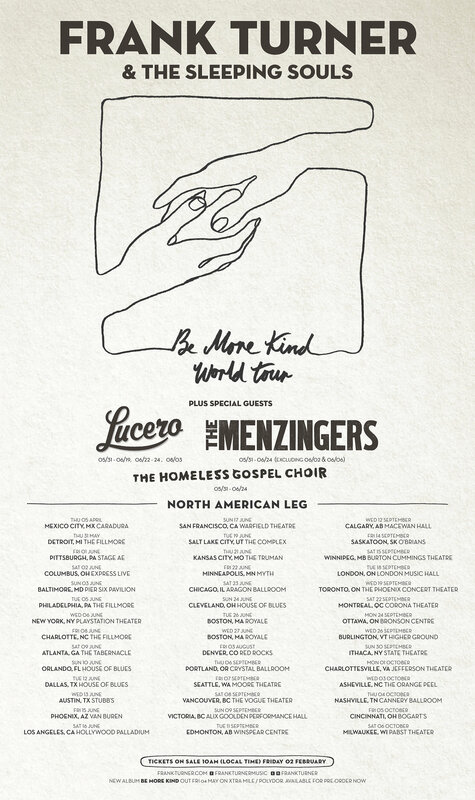 Furthermore, this spring, THGC and Frank Turner will reunite on the Be More Kind World Tour! 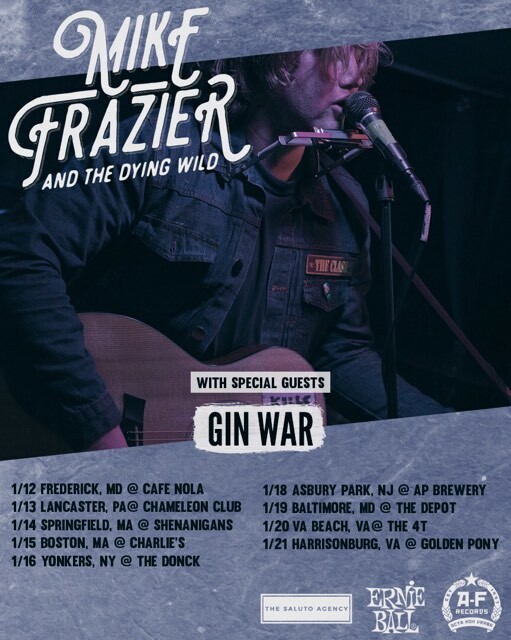 Their tours together will begin this April in the U.K. and Ireland, and trek across North America starting in May alongside acts like Lucero, The Menzingers, and Arkells! 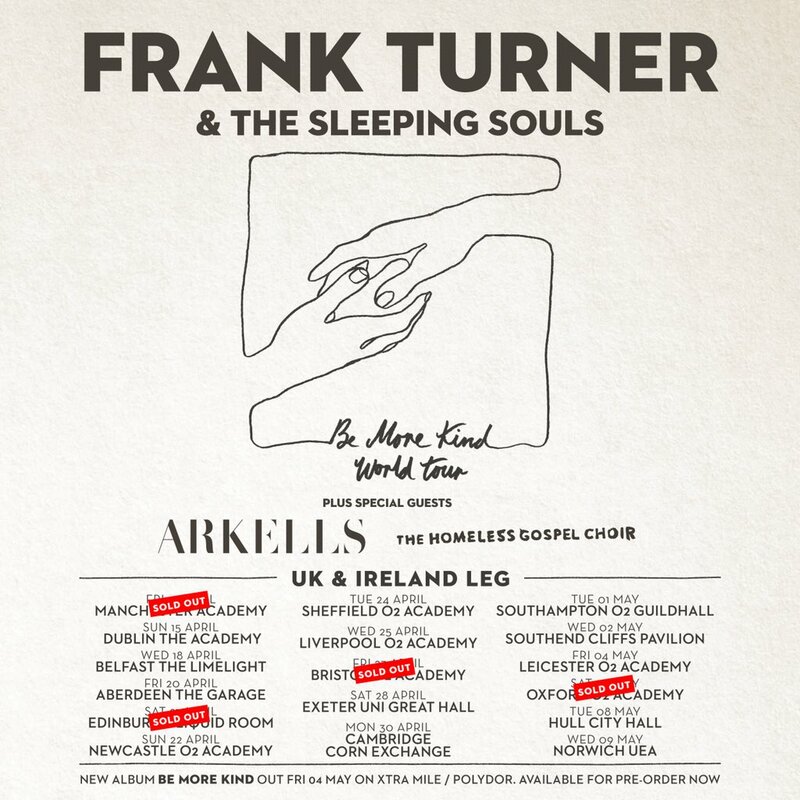 Tickets are on sale NOW and can be found HERE, and you can find a full list of dates below. 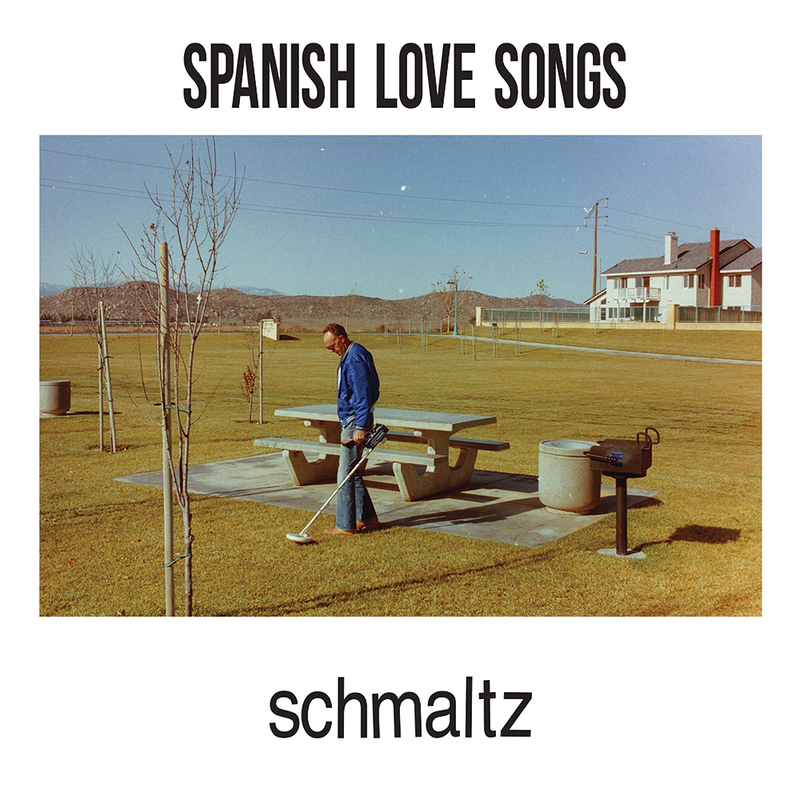 The time has finally arrived and we get to tell you all about SPANISH LOVE SONGS new full-length LP, 'Schmaltz'! "This album is really all about guilt, and everything that’s wrapped up in it. Guilt over being self-involved. Over being depressed and what that does to the people I love. Of not being there for others or treating them right. Of not treating myself right. Of not doing enough for people before I lost them. Of getting old and still chasing the same dreams. Of being incapable of changing. Everything else on the album is filtered through that lens. The album is about living with the guilt, and ultimately accepting it, because sometimes it feels debilitating, especially in this day and age." 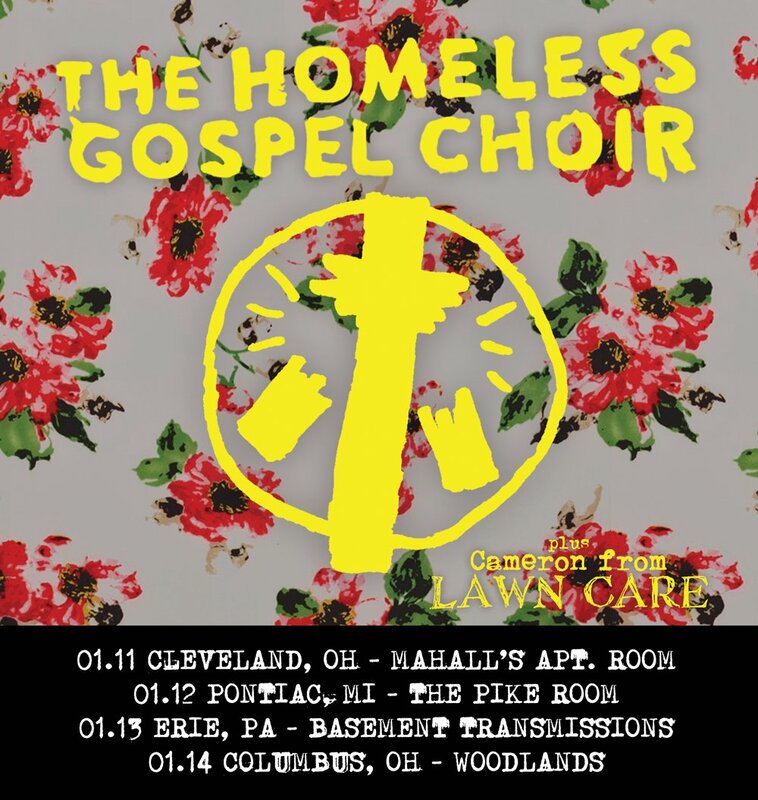 And last but certainly not least, THE HOMELESS GOSPEL CHOIR is back with a quick run of shows along with fellow A-F alumni, Cameron from the band LAWN CARE! 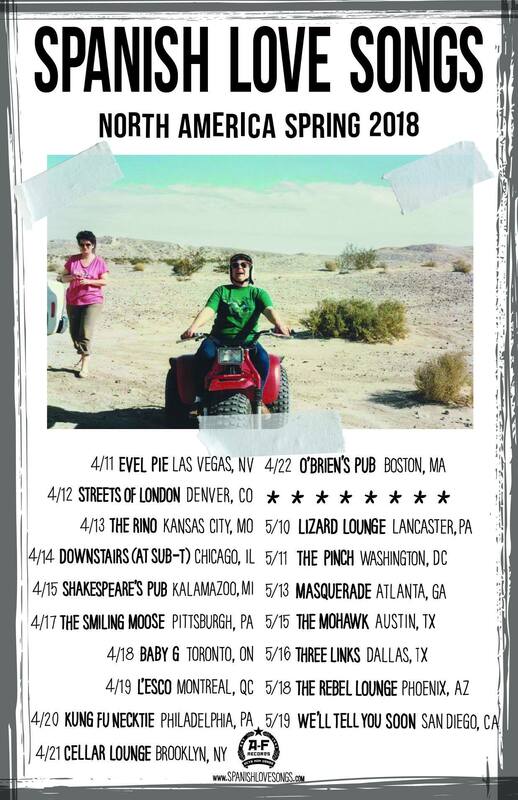 Catch them at one of the dates below! Thank you for your endless support and hard work spreading empathy and optimism in the face of apathy and cynicism. Let's give em' hell in 2018! Stowe, Jesse Jones, Massie, Pat Thetic, Justin Sane, Chris Dos, Chris Head, Steve, Zachary, Tim, Marc Code, Craig Leach, and everyone at MDDN! 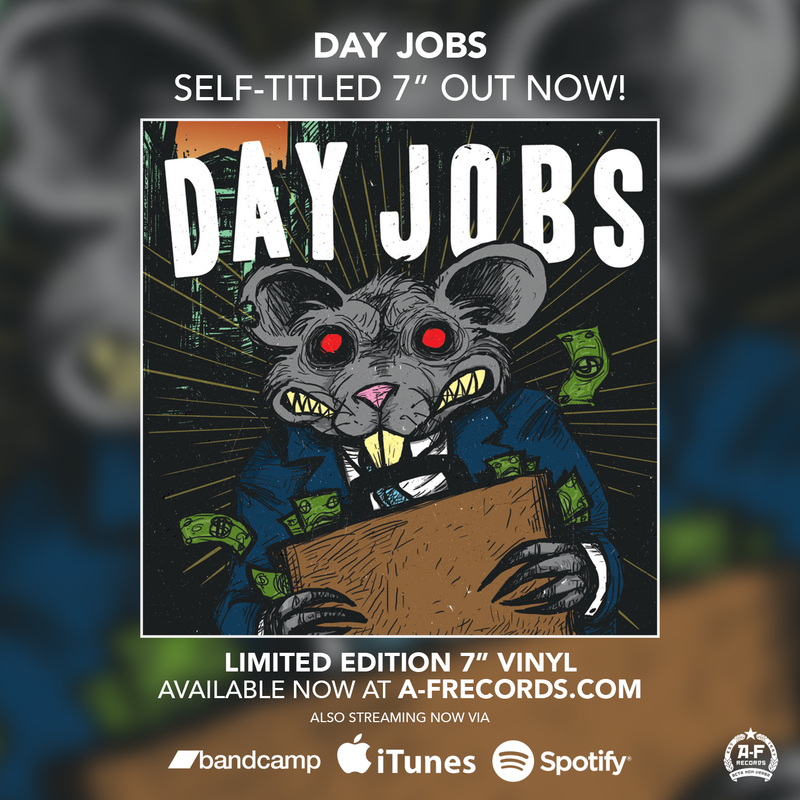 If you haven't heard, DAY JOBS have released a brand new EP to the masses! 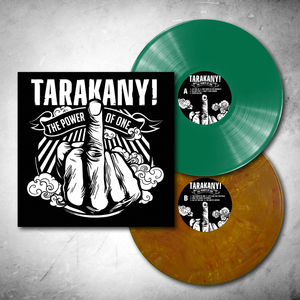 The "Self-Titled" album is available on random colored 7-inch vinyl, and is streamable via Spotify, iTunes, and Bandcamp! The song "Riley Raisin Mac Davis" from the EP is also featured on the ANTIFEST Highlight Video! 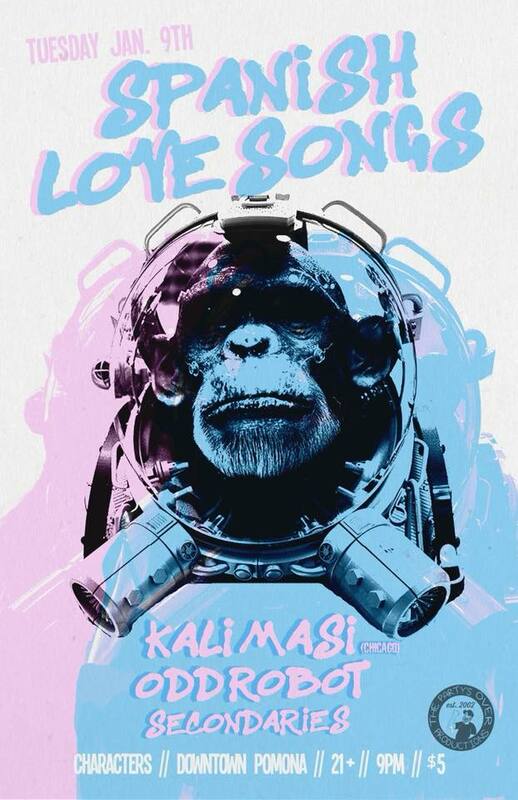 Grab you copy on vinyl HERE! 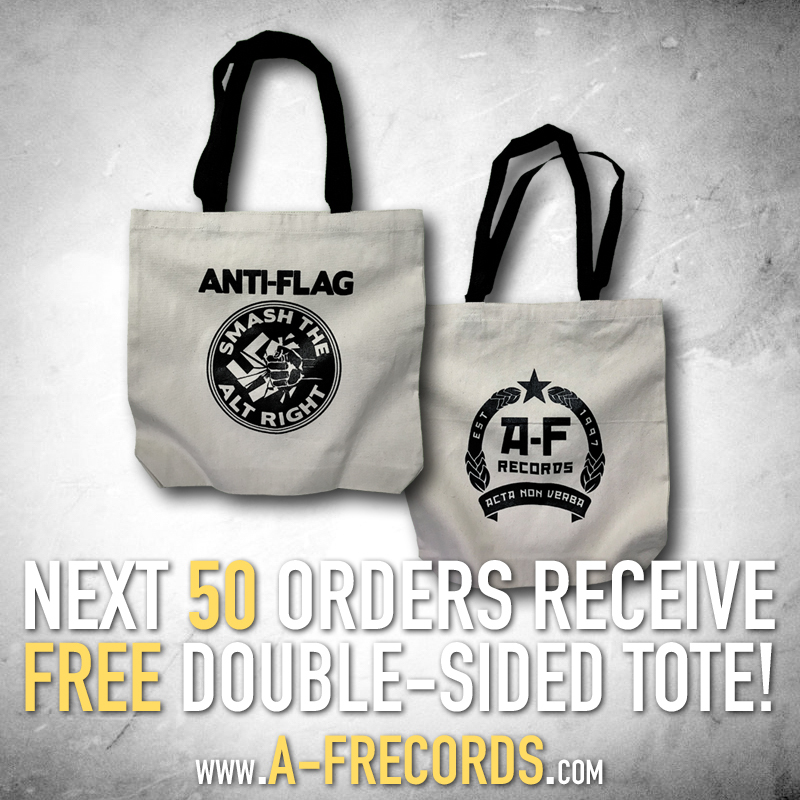 Starting today (12/05/17) we're offering the next 50 orders through the Online Store a FREE ANTI-FLAG / A-F RECORDS double-sided tote bag! 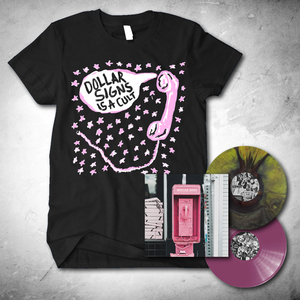 Be sure to scroll down for more News on December deals including our Vinyl Special, and Live ANTI-FLAG album giveaway! We also offer *NEW* Online Store digital Gift Cards! Pick one up for your friend! Happy Holidays from A-F Records! Today we're excited to launch A-F RECORDS DIGITAL GIFT CARDS! 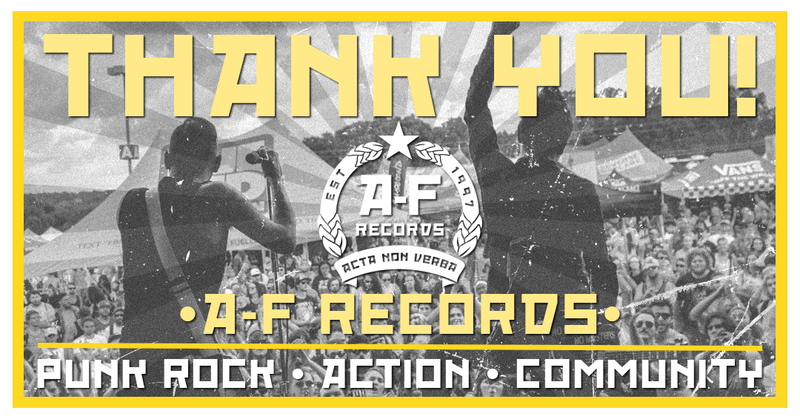 Digital gift cards of various values can now be purchased and redeemed in the A-F Records Online Store! Treat yourself to one for future use, or send one to a friend! Once you've purchased a digital gift card, you will immediately receive a redemption code that is also e-mailed to address you provide. Be sure to keep your redemption codes, as you will need to enter them in the shopping cart/checkout screens. Applying your code will also inform you of your current balance, but if you're still not certain, you can e-mail us, provide us with the transaction number from the gift card, and we'll be able to provide you with your balance. 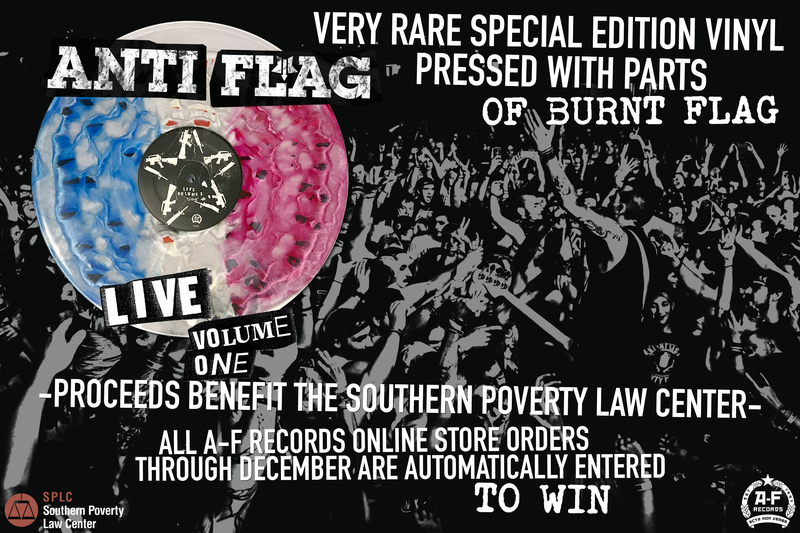 Coming in hot with the December celebrations, we're also offering you a chance to win a HYPER rare ANTI-FLAG vinyl! 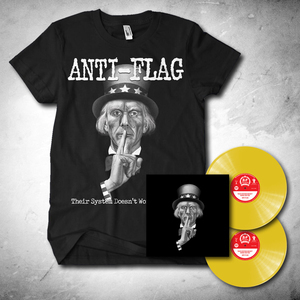 Back in January, we released a Live Anti-Flag record! 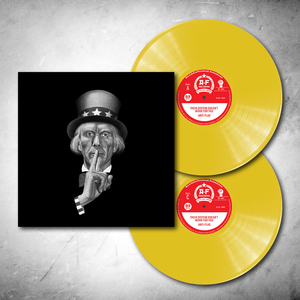 Later, we partnered with friends at Wax Mage Records to release a hyper limited variant of the album with parts of burnt flag pressed right into the vinyl! 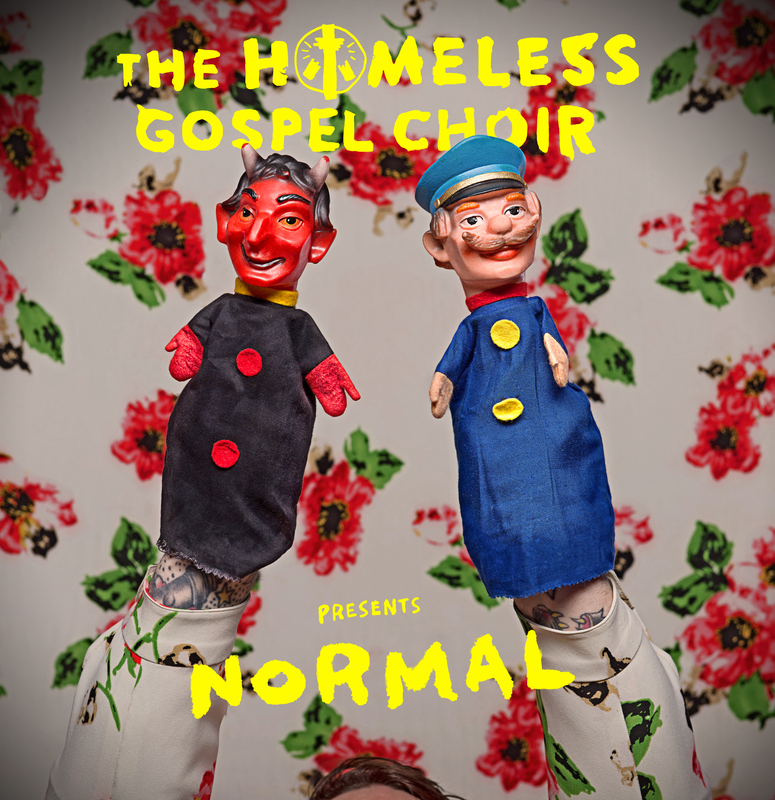 Only 10 of these records were made, and the rest have been auctioned off throughout the year with 100% of proceeds going towards charities selected by ourselves as well as Wax Mage. Keeping with that mission, we have set aside more proceeds going to the Southern Poverty Law Center and are now giving everyone a chance at one of these VERY rare items! 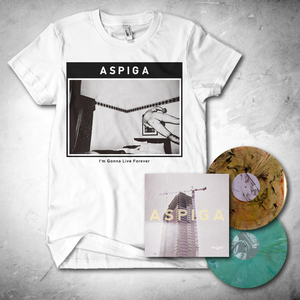 So again, from 11/27 through 12/31, ANY and ALL orders placed in the online store are automatically entered to win! No extra steps need to be taken by you other than placing your orders! ONE winner will be selected in January 2018. Best of luck to all of you, and thanks again for all of your support this year!